Whoever approved doing voices while reading a non-fiction book should never produce an audiobook again. 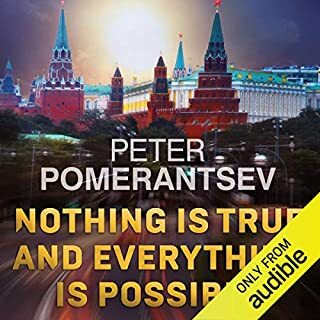 I cringed every time the narrator spoke in high pitched voice pretending to be a young Russian girl or did his impression of a Russian gangster. Why bother changing your voice when quoting Larry King, when it sounds NOTHING like Larry King? This was a very unnecessary exercise, which made listening to this amazing book really, really hard.